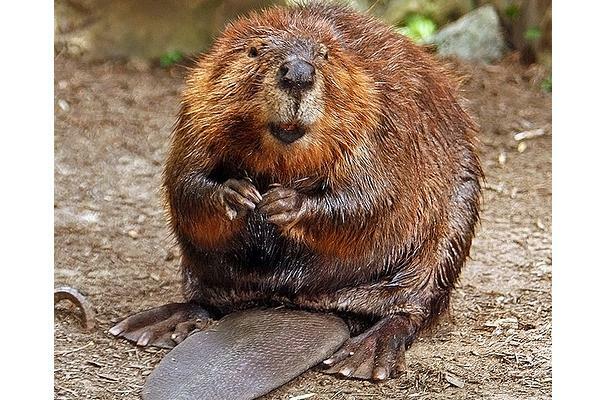 Beavers are two primarily nocturnal, semi-aquatic species of rodent, one native to North America and one to Eurasia. They are known for building dams, canals, and lodges (homes). They are the second-largest rodent in the world (after the capybara). Their colonies create one or more dams to provide still, deep water to protect against predators, and to float food and building material. The North American beaver population was once more than 60 million, but as of 1988 was 6–12 million. This population decline is due to extensive hunting for fur, for glands used as medicine and perfume, and because their harvesting of trees and flooding of waterways may interfere with other land uses.